I've been busy traveling for work this past month and have not had a lot of time for baking, but finally I had a chance to bake again. Add about 3/4's of the buttermilk called for in the porridge to the dry ingredients in a small pot set to low and stir constantly until all the water is absorbed. Add the remainder of the buttermilk and keep stirring until you have a nice creamy and soft porridge. Remove from the heat and let it come to room temperature before adding to the dough. I put mine in the refrigerator and let it cool quicker. tastes but I'm really doubting it. I don't think she has ever made a brad with buttermilk or even rolls. 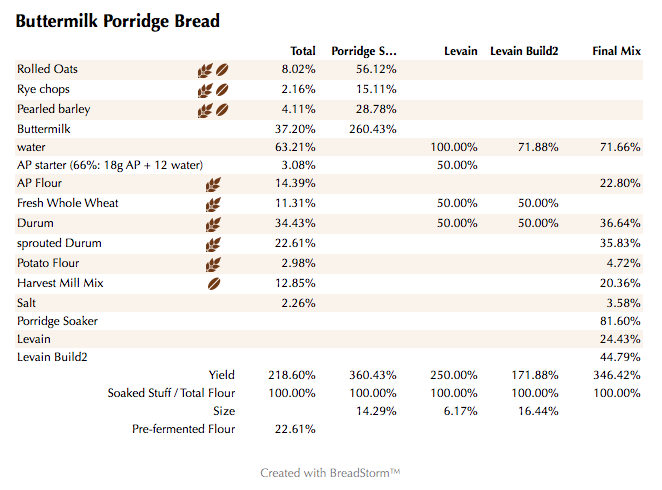 Love the retarded levain to go with the long bulk retard. 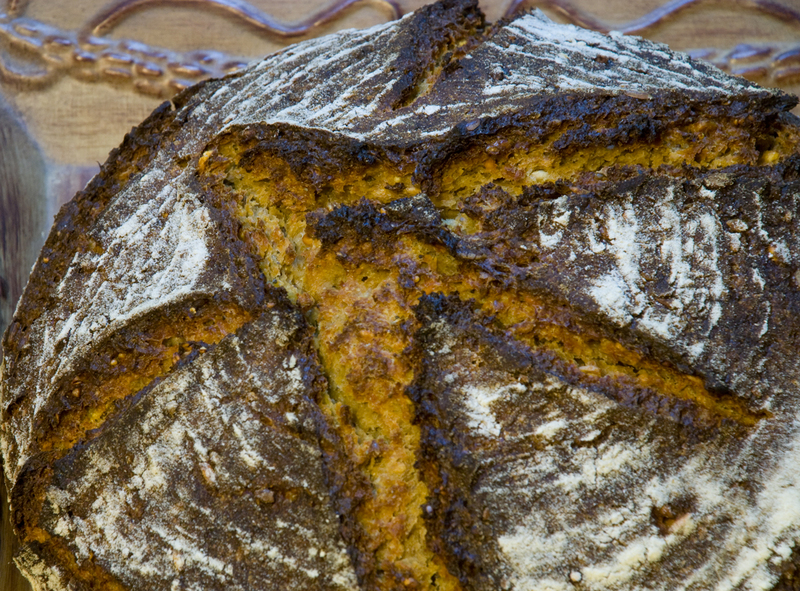 This has so many great ingredients and flour, even durum sprouts in it ....it has to be fantastic taste wise. It sure looks boldly baked too. Lucy went the other way this week. 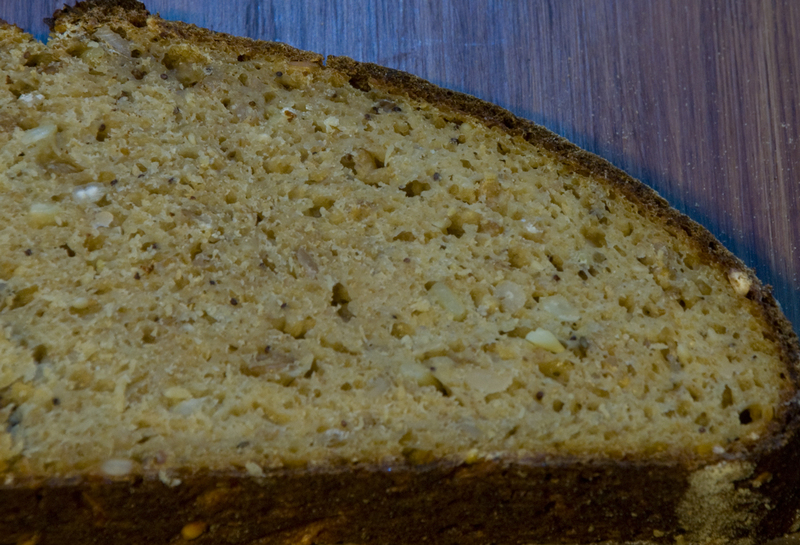 Only 25% whole sprouted multigrain so it is a white bread...made with Guinness so it looks like more whole grain. Well done and Happy baking - Lucy sends her best to her furry friends. I thought of Lucy as I was concocting this one. I knew she would appreciate all of the whole grains. It has such a nice tang to it with all of the wholesome goodness. 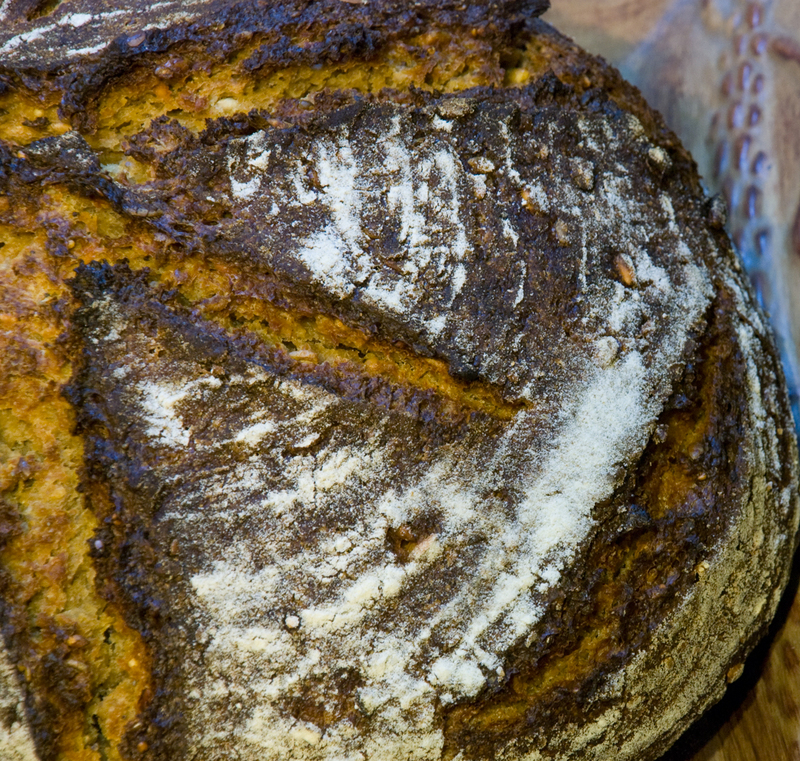 Look forward to reading about your Guinness bread soon. I will post mine this morning as well. 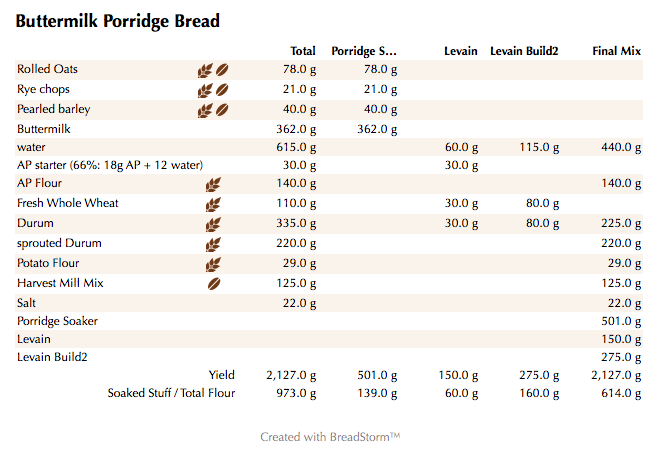 Using buttermilk to cook a porridge - very interesting idea. The loaf looks gorgeous! Thank you Karin. It really made this one exrta sour and was an interesting idea that worked out well.